Formed in late 2014 on the island of Guernsey, Lord Vapour have endeavoured to produce huge riff fuelled music interlaced with groovy bass lines and pounding drums whilst also bringing through heavy elements of psychedelic rock along with subtle elements of funk, doom and 70s rock. 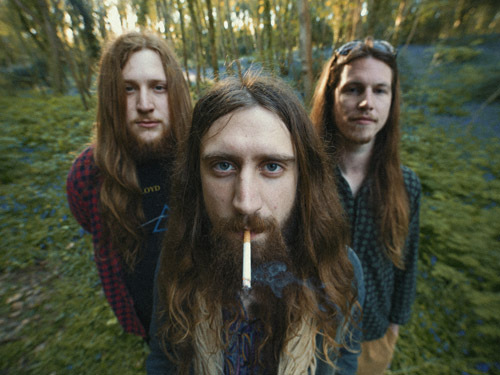 Founded by Joe Le Long, Christiaan Mariess and Henry Fears, from the start the band had clearly found a niche that their small island home of Guernsey had never experienced before: A combination of groovy headbanging riffs and drawn out psychedelic jams, Lord Vapour has the appeal of rockers of yesterday, modern music goers and everyone in between. The bands ability to combine many different elements into individual songs and the power behind their catchy riffs has people hooked on their sound.